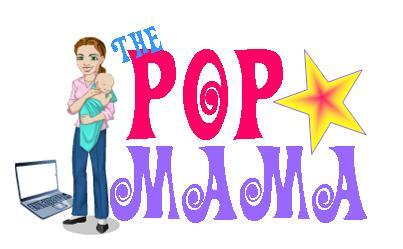 Pop Mama: Lizzie McGuire is knocked up. Just as I was complaining that the pop world was a snooze a few items made the media that I thought were worth a shout out. 1. Hilary Duff -- is she old enough to be married? -- Is pregnant with her first child with husband Mike Comrie. I did have to double check her age and she is 23, so I guess we can't consider her the little Disney star that she once was. I was too old to watch Lizzie McGuire, but that is how I will always think of Ms. Hilary. Now if Raven Simone would up her game and throw some grown-up gossip on the pile that would be icing on the cake...that's so Raven. 2. Jessica Alba gave birth to her second daughter, Haven Garner Warren. Congrats Jessica! I'm a teensy bit jealous as I will be a mother of two boys come December and I'm not sure if I am biologically capable of making a girl. 3. My idol, Tina Fey gave birth to her second daughter, Penelope Athena on August 10th! Congratulations to Tina and family!!! 4. 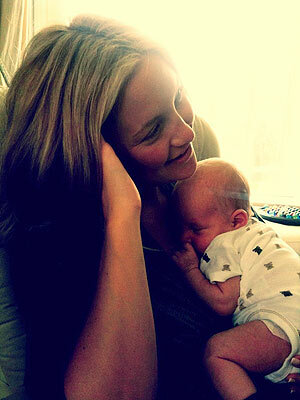 Kate Hudson and Matt Bellamy presented the first pic of little Bing and he is a cutie. 5. CAUTION: DOWNER ALERT -- Russell, Taylor's husband from The Real Housewives of Beverly Hills was found dead in Los Angeles of an apparent suicide. Very sad. I don't really know what to say except that I feel for their young daughter and for Taylor. Taylor filed for divorce in July and cited physical and verbal abuse as allegations against Russell. He was also being sued for $1.5 million dollars in a lawsuit for breach of contract. 6. Gerard Depardieu relieved himself inside of an airplane cabin. Yes, I know you are saying "who?" But, seriously, he was the father in My Father the Hero -- an oldie but goodie. Also, I just like saying his name. Apparently he was told that he would have to wait until after take off to use the airplane bathroom and instead he just peed in the aisle. I hope it was first class. 7. And, last but not least, K-Fed welcomed his FIFTH child. Women are still choosing to breed with this guy. Inconceivable (ha! ), I know. I'm not sure what he does for a living these days, but I'm sure a lot of his time goes to dealing with baby mama drama...he has three of them now. I hope everyone is having a superb week and enjoying the weather now that it is not 100 degrees everyday! Yipee!